Portland Jazz Composers Ensemble (PJCE) has released an album of Ezra Weiss’s original songs and short film scores inspired by Oregon’s blue-collar Black history. From Maxville to Vanport celebrates the history of two towns that reveal distinctive viewpoints of the state’s under-represented Black history. Looking honestly at the prejudice these people faced, the album celebrates their resilience, courage, and important contributions to Oregon through jazz, R&B, and blues. The music, composed by Weiss with lyrics by poet S. Renee Mitchell, is performed by the PJCE with vocalist Marilyn Keller. The project also includes two film shorts by filmmaker Kalimah Abioto scored by Weiss that will be available with the digital download of the album. PJCE’s Executive Director, Douglas Detrick, served as the artistic director of the project. Oregon is seen as a beacon of hope in the album’s initial blues-influenced song, “Oregon Sounds Like Freedom,” which immediately introduces the power of Marilyn Keller’s voice. The opening fanfare transitions into an Afro-Cuban 12/8 rhythm where Rob Davis’s muscular yet lithe tenor sax solo adds an insistent accent to the hopeful and occasionally humorous lyrics. In the poignant “What Do Your Trees Tell You,” Weiss introduces dramatic chords that reappear throughout the piece as a theme of “struggle.” With lyrics reminiscent of “Strange Fruit,” the trees themselves take on new meaning, symbolizing the chance for a brighter future rather than the brutal reality of lynchings in the South. Clarinets, bass clarinet, and flute add an orchestral character to this piece, while Douglas Detrick’s soaring flugelhorn solo contrasts beautifully with Keller’s deeply grounded vocal. Previously, little was known of these small populations of Black Oregonians and even less about the lives of the women in Maxville and Vanport. In the Motown-esque song, “Woman’s Work,” “sleep is like a tourist,” a fleeting presence in the lives of the hardworking women of Maxville. John Moak’s trombone solo gets funky before the instrumental ending evokes the sleep deprivation Mitchell describes in the lyrics. “Stacked Deck Hand” is a down-home blues tune that asks how one can win in cards or life when the deck is stacked against you. It has all the swagger and soul that you expect from a swing-era blues lyric, much like those shipyard workers in Vanport might have heard during WWII. But it also goes deeper, celebrating family, perseverance, and faith. Here, Weiss highlights Farnell Newton’s technical facility and bluesy voice-like timbres on the trumpet. “Water,” the second film score/track, opens on a boy playing outdoors—climbing and running, playing marbles, and boxing while revisiting the album’s fanfare opening playfully reimagined as a fast waltz. The mood quickly shifts as the boy sees rushing waters that foreshadow the Vanport Flood of 1948. Then music sinks into the unusual chords from top of “What Do Your Trees Tell You,” and we see the boy as a man, remembering rather than anticipating the flood of emotions he felt at the loss of his home. Rising from this adversity, “From Maxville to Vanport,” the closing piece of the album, marvels at the resilience of people who gave up everything they had for an uncertain future and wound up making history. “Oregon didn’t want black folks to stay/ But we planted roots here anyway,” the song says. Keller shines while contemporary, unconventional orchestration techniques master the challenge of a 13-member ensemble playing at a rubato tempo. Weiss combines the earlier “struggle” theme with the optimistic melodic contour from “Oregon Sounds Like Freedom.” Now unified as a single musical idea, they suggest the coexistence of struggle and hope as we address racism in our nation. Gwendolyn Trice founded Maxville Heritage Interpretive Center, a non-profit cultural heritage center in Wallowa County, Oregon and currently serves as its Executive Director. She also provided support and information for Oregon Public Broadcasting’s 2009 film Logger’s Daughter. Currently, she serves on the Oregon Commission on Black Affairs and is part of a Leadership cohort for the Center for Diversity and Environment. From Maxville to Vanport features Lee Elderton – soprano sax, clarinet; John Savage – alto sax, flute; Rob Davis – tenor sax, clarinet; Mieke Bruggeman – bari sax, bass clarinet; Douglas Detrick and Farnell Newton – trumpet, flugelhorn; John Moak and Denzel Mendoza – trombone; Ryan Meagher – guitar; Jasnam Daya Singh – piano; Bill Athens – bass; and Ken Ollis – drums. PJCE is committed to creating an artistic and cultural context where Oregon’s jazz community can participate in our society’s most pressing conversations. PJCE’s Executive Director Douglas Detrick, an Oregon-raised history buff, first learned about Maxville from a Wallowa County resident and immediately saw a connection to Vanport. Both towns were short-lived communities built to house multicultural workforces. The stories of these help people help to explain why Oregon looks the way it does now. The album invites the audience to consider what Oregon represents. Was it worth leaving one’s home to get there? Was freedom available to Black Oregonians in 1923? In 1948? In 2018? From Maxville to Vanport suggest, as the first track on the album says, “Oregon Sounds Like Freedom.” Maxville and Vanport were populated by hard-working people who decided the reward was worth the risk. Maxville was a logging town, built in 1923 and shut down in 1933, in Wallowa County, Oregon’s northeastern extreme. Vanport, built in 1942 just north of Portland for shipyard workers, was destroyed in a matter of hours by the flooding Columbia River in 1948. Both towns were multicultural communities that housed workforces with significant African American and immigrant populations at a time when many Oregonians were openly hostile to them. From the beginning of World War I through the 1960s, millions of Black people moved from the South in a mass exodus called the Great Migration. They did so to escape the oppressive conditions of the South where African Americans were systematically forced into a second-class existence through Jim Crow laws, and lynching was a constant threat. Jazz was a product of the Great Migration too. Louis Armstrong moved from New Orleans to Chicago in 1922. There he would make his first recordings and eventually become one of the world’s best-known musicians—achievements he would have been unlikely to attain had he stayed in New Orleans. From Maxville to Vanport is a collection of contemplations and commemorations created in a year-long composition process that began with community discussion events—attended by descendants of Maxville loggers and Vanport flood survivors—in Portland and Joseph, Oregon (a small community in Wallowa County near the historic Maxville townsite) in the fall of 2017. That feedback, along with extensive conversations with Maxville Heritage Interpretive Center Executive Director Gwendolyn Trice, whose father worked was a logger at Maxville, informed the creation of the piece. The project was funded by the Oregon Community Foundation’s Creative Heights program and was sponsored by the Oregon Historical Society. Project partners include Vanport Mosaic, Josephy Center for the Arts, Crossroads Carnegie Center for the Arts, Eastern Oregon University, and the OK Theatre. 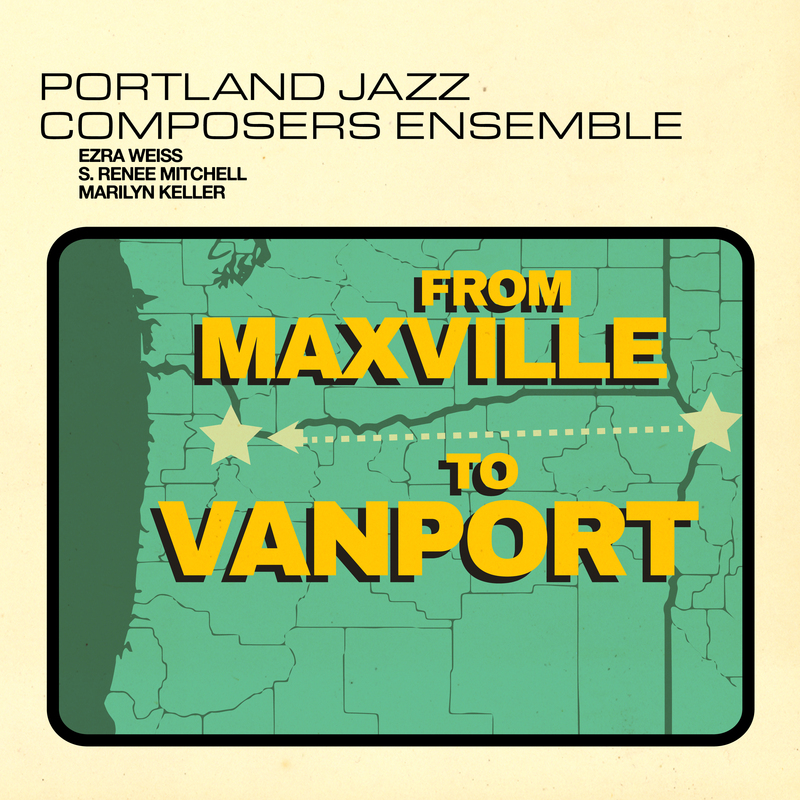 MORE ON FROM MAXVILLE TO VANPORT This album release happens in conjunction with a live performance March 3, 2019 at Portland, Oregon’s Mission Theater as part of the PDX Jazz Festival.